Collaboration tools help speed up and increase the quality of workforce communications. They foster innovation, strengthen personal connections and enable anytime, anywhere access to vital business information. The drive to offer these tools through personal devices and social media tools requires a unique understanding of the underlying communication platforms that frame the way we talk, meet, interact and analyze and share data. We provide just that—expertise in analyzing and deploying these tools across your organization. 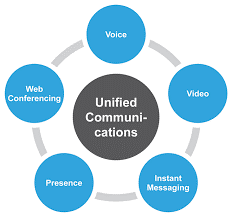 Unified Communications (UC) is no longer the future of technology, but rather the current life force behind it. With the help of systems integration and supporting solutions, UC is an essential part of everyday business. Communication and collaboration tools bring people and technologies together and connect them all around the world. With Quadtec’s experience in UC, you can start aligning your business goals and needs with your technologies and create a seamless, fully integrated communications solution. Empower your people with the UC and collaboration tools they need to succeed. Make your communications more effective, and efficient, and utilize Quadtec’s solutions to integrate and better utilize your Voice, Video, Conferencing, Mobility and Messaging capabilities. Create an environment designed for collaboration, communication and business success with Unified Communications and Collaboration solutions from Arrow SI. We understand there are critical collaboration and communication issues facing you today. The need for real-time, anywhere access to co-workers and critical data is crucial. What’s more, reduced travel and event budgets have impacted our in-person interaction. The typical method of emailing and phoning in, depersonalizes communication and creates chaos. Furthermore, those methods require constant maintenance and support. We know you need to work virtually with employees and customers, as well as suppliers. The lack of being able to effectively share data across your collaborative workforce is an ongoing issue as well. And we know you want to manage and secure personal devices to be able to work virtually. That’s where we come in. We can help support and provide tools to help eliminate the communication problems associated with legacy systems and bring your collaboration up-to-date. 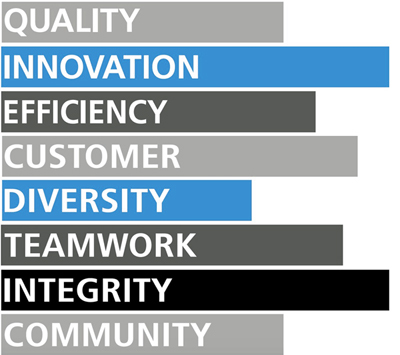 Enabling workforce mobility (or agility) has become the new norm rather than the exception. In addition, the movement towards mobile data access, Bring Your Own Device (BYOD) adoption, social media and cloud-based applications and infrastructure has given rise to a new set of information technology (IT) management and security issues. As enterprises work to provide a seamless environment of productivity tools for their employees, security becomes a top concern. Frost and Sullivan recently projected that hosted Internet Protocol (IP) telephony and cloud-based collaboration will grow at a compound rate of 26.8% through 2019. Gartner’s top IT trends for 2013 include mobile application delivery, personal cloud deployments, strategic big data management, enterprise application stores and actionable analytics. All of these concepts demand a robust and user-friendly set of communication tools to enable workforce execution down to the individual level.